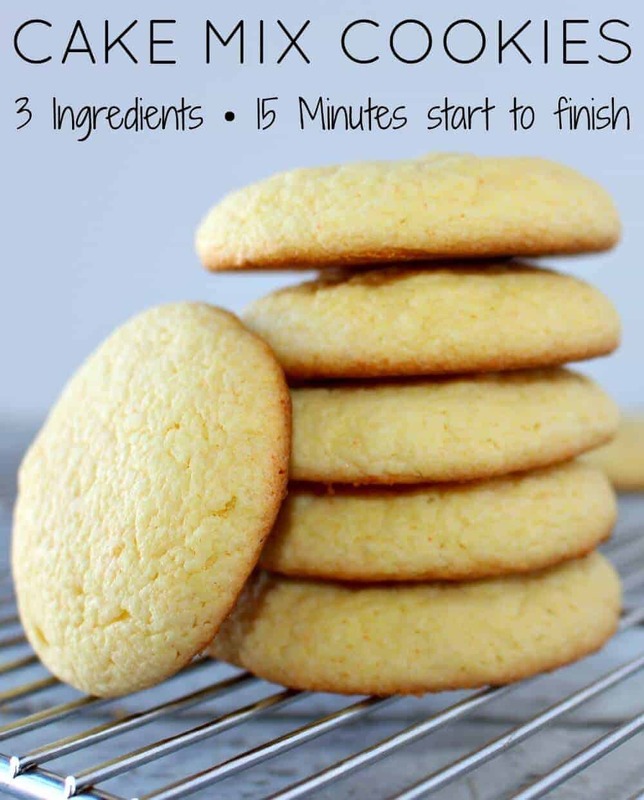 I love these Cake Mix Cookies, because they just take 3 ingredients and 15 minutes! The easiest cookie recipe you will ever make. So Easy AND delicious …who knew how amazing this cake mix hack could be! There are so many great things to make with this easy cake mix cookie recipe! One of our all-time favorites is our Halloween Spider Cookies. If you are looking for other great Cake Mix Hacks, then look no further – we’ve got so many! Refrigerated cookie dough that you buy at the grocery store might be easier, but I found the second easiest “homemade cookies!” These are so much better than the store bought dough! Did you know that you could make cookies from a box of cake mix? Because of how easy and delicious these are, Cake Mix Cookies are my new go-to quick cookie fix! They are beyond simple to make, because all you need is three ingredients and 15 minutes! Does this scenario sound familiar? It is 9 o’clock on a Thursday night and your child is heading up to bed, then casually mentions that, by the way, they need something for the school bake sale tomorrow!! Well, you could run out to the store, buy some store made cookies and throw them on a paper plate (I may have done this before, but I don’t recommend it). Or… you can hack your way to some quick and easy homemade cookies! What do you need to make cake mix cookies? All you need are 3 ingredients! Also, they are so common you probably have them in your pantry. However, if you don’t keep cake mix on hand, you should really start. I always keep a box of yellow, or white cake mix just in case of a cake or cookie emergency. It kinda doesn’t get easier than this cookie recipe, because all you do is mix the three ingredients together. Then, place them on a cookie sheet and bake them in the oven on 350 degrees for about 10 minutes. Want to take your cake mix cookies to the next level? Try our Chocolate Chip Cookie Bars, also made using cake mix! 3 ingredients and 15 minutes! The easiest cookie recipe you will ever make. Easy AND delicious ...who knew how amazing this cake mix hack could be! I love this cake mix cookies. They are truly save you for having to spend lots of time in the kitchen when you simply do not have time. They are also extremely delicious. By the way, you were great this morning!!!! You are THE BEST, Diane!!! Love ya! When you say “place balls of dough” do you mean that you form balls with your hands? I just mixed up the dough per your instructions, and there is no way I could form this “dough” into balls – it’s just slightly less soupy than the cake mix. Also, how many cookies is this supposed to make? So it shouldn’t be soupy at all. The last batch was stickier than some of my others, part of that depends on what mix you are using. I made big cookies so I made about a dozen. Which kind of cake mixes will work the best with this? I have the funfetti kind, will that work? I have made them with Funfetti and white and chocolate! So far everything has worked for me! Do you think I could do my normal apple sauce substitute instead of oil for these? That’s what I usually do when I bake a cake using cake mix. I haven’t tried that – but would love to know how it works out! i had same issue. I mixed one box Duncan Hines Yellow cax mix, 1/2 c vegetable oil and 2 eggs. It’s very loose – not at all doughy. I put the bowl in the refrigerator in hopes that it will harden up enough to make dough balls. I added flour to the mix. It really helped to make more like dough. Just made these – Betty Crocker yellow cake mix 2 eggs 1/2 cup veg oil. Came out perfect!! (Making the Halloween spider cookies – yeah a bit late but I’m doing it!!). Funny how some recipes work for some and not others! I usually am in the ‘doesn’t work for me’ category but thankfully today is a good day!! 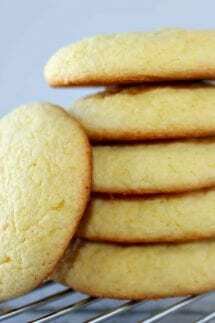 Anyway great easy and fast cookie recipe. 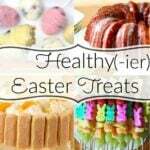 These are my favorite cookies to make with my kids! 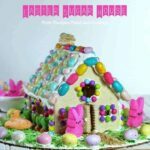 I love how easy these are for the kids to make! Just made this recipe at 1:00 am and normally anything I try doesn’t turn out right, well Glad to report I made 2 batches and LOVE IT!!!! Easy to make and easy to clean up!! Thanks!!!!! Made with yellow cake mix. Followed the directions, these cookis were so tasteless. Trashed. Really wanted to like these but nobody would eat them.